Whether your teens are passionate about art, food, history, music, beaches or sports — or just taking photos to make their Snapchat followers jelly — there’s a European city for them. These are the best places to visit in Europe with teens, based on their unique interests (and yours). Yes, your art-loving teenager needs to spend a day wandering the hallways of the Louvre in Paris. But Barcelona is the most artistic European city, inside and out! The home of Antoni Gaudi is all twists and curves, colorful glass and mismatched fragments of tile reflecting a daring inspiration that will affect your artistic teen for the rest of their life. Spend hours in his stunning Park Guell, wander through the ongoing wonder of Sagrada Familia, take a tour of Casa Batllo on Passeig de Gracia in the vibrant heart of the Catalan capital, then head into Barcelona’s Gothic Quarter for the stunning Picasso Museum. Later, pull yourself away from the city for a high-speed train ride out to Figueres for the mind-altering Dali Museum and the monastery high atop Montserrat. This is a trip your artistic teen won’t soon forget. You have to literally go out of your way to find terrible food in Europe. But for the best foodie experience for culinary teens, head to Belgium. Of course, there’s the legendary Trappist brews and the Belgian beer scene (the drinking age is just 16). But it’s the food that makes Belgium truly special — and not just the waffles and fries, either. There’s also stoemp (mashed potatoes with veggies); the unofficial national cookie of Belgium, called Speculoos; succulent mussels in the summer; and of course, all that rich chocolate year-round. An afternoon on the Italian island of Procida will fill your teenager’s soul with joy and their Instagram account with seaside color. 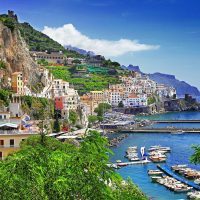 Easily accessible from the port of Naples via an affordable commuter ferry, Procida is less than an hour away from Napoli, but miles from the tourist crowds clamoring to experience the famous bits of Italy. Immensely walkable, unspoiled by visitors, and authentically Italian (almost no one on the island speaks anything but the native language), Procida is a hidden European gem for hip teens who want to take the road (and ferry) less traveled. The home of the Fab 4 and the Faux 4 (sorry, Oasis fans) is still a brilliant spot to enjoy a thriving local music scene. A weekend spent in Liverpool and Manchester, England, will satisfy teens who are digging into their parents’ back catalog of albums by The Beatles and the now-retro 90’s Brit pop sound, as well as modern EDM clicks and hisses. There is something on stage in the Northwest of England for every kind of youthful music lover. Solid cases can be made for beaches in Spain, Portugal, Greece and Sardinia. But when you consider the quality of water, the feel of its smooth white pebbles, the plethora of water sports available (windsurfing, boating, parasailing, etc.) and the sheer wonderment of its shape, the beach that will sun and stun your teen the most is called Zlatni Rat, near the village of Bol on the island of Brac in Croatia. 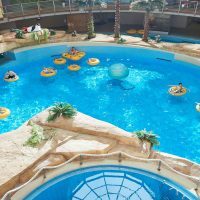 This Adriatic Sea beach is actually a 1,500-foot-long peninsula that shape shifts based on the wind and the tides, providing your teenagers with a unique experience that’s every bit as scientifically fantastic as it is sublimely fun! Despite the existence of impressive castles in Wales, France, England and Ireland, there is only one destination for a castle-obsessed teenager to consider when visiting Europe: Germany. Home of a number of jaw-dropping fairytale castles, including the one that inspired Cinderella’s Castle (Neuschwanstein), Germany’s castles are literally breathtaking, especially in autumn when set against a backdrop of fall foliage. Consider traveling Germany’s Fairy Tale Route to see some of the best castles. Nearly all of Europe is a history book come to life, so it’s hard to make a wrong choice for teenage history buffs. But Rome is unparalleled for teens who want to time travel while on vacation. From the Coliseum to the Vatican and so much in between, Roman history is the genesis of so much that we know, use and rely on today. There is no better European destination choice for your history-obsessed teenager. Everyone is going to Iceland right now and rightfully so — the country is gorgeous. It’s also very expensive and overcrowded with tourists. Instead, look to the small hilltop village of Roussillon in southern France to blow your teenager’s nature-loving mind. You may not think that orange and purple go together as a fashion statement, but the tangerine-colored ochre in this part of Provence contrasts perfectly with the more famous rows of Provencal lavender found nearby. Roughly an hour from both Avignon and Aix-en-Provence, the hues of the shopfronts and cafes of Roussillon and the ochre rock will pop in nature photographs from your teen’s camera, especially when set against a blue sky with puffy white clouds. Try a hot air balloon ride for even better views! It has to be London for both football and cricket. While there are football (soccer) clubs in nearly every village, town and city in the whole of Europe, no one place can stake a claim to having as many in a concentrated area as London. Arsenal and Tottenham in North London; Chelsea, Fulham and Queens Park Rangers in the west; Crystal Palace in South London and West Ham United; Charlton Athletic, Millwall and more scattered around the city — plus more clubs like Oxford and Watford within a short train commute – you can catch a game just about anywhere. London may not be the home of football, but your sports-loving teen will feel at home going from one ground to the next for matches or stadium tours with a meat pie in their hand and their favorite club’s scarf around their neck.